So, we’ve had 9 no spend days, so very good. Then payday ,today, got cash for gas, and Costco. Did pretty well only $100 for food, but non food we splurged and bought some potting soil, a pot for the sweet potatoes, new pillows ,we needed. I got a t shirt,$10 and B got a nice dress shirt $20. So I’ll have to figure non food out if my food money, but I think it was good. Also put $100 in Santa, and $100 in savings. B has changed our w4 so it will be less deductions and therefore more federal,tax taken out. We cannot have a repeat of this next year. So that’s going to affect our take home too. Oh well, it’s always something. Found out a old acquaintance died recently of brain cancer. I guess she went all over, including Mexico , looking for cures. I don’t know, as a cancer survivor and patient, I think there’s a time to let go. But, who am I to say. Also, everyone, March is multiple myeloma awareness month, so support someone with Myeloma, say hi, or help out. You can even make donations to the leukemia and lymphoma society. (LLS )! February , update on January no / low spend. So, its February. It’s clear and cold out. That’s around 29 this am when went walking but should get into the 50’s. We ended up with 15 no spend days ,so that was very good. It really helped us see our spending habits, of often running down to the market for a few things and ending up with a lot more. My zero balance is kinda a disaster, with only $500 left. Not good , but we did have extra bills, car tags, $100, my son lost his cell phone, $200, property taxes almost $1000. So those came from the zero balance and sinking funds. I am still savings the extra $200 in another savings, and Santa fund is $50 every two weeks. So good on that front. Plus I added to the $5 savings and 52 week challenge which I’m ahead on. So I think it’s kinda a draw. Save, spend ! February I’d like to have 15 no spend days, and nothing too extra. I need to get propane and that’s going to at least $300. I had a good oncologist appointment, and the great news is my m protein went to .36 That is very good news for me. I’m on my 7 month of revlimid . I guess I’m not really going off anytime soon or ever really. Until I switch to something else. It’s okay, it’s life with myeloma. I’m so lucky I tolerate it well and it seems to be be helping. I did start back on curcumin and added those mushrooms( a dried combination called Matrix) I do think it’s doing something. Walking is at day 247, so I’ve passed the 8 month mark of walking every day! off to work and then tonight ,as a family were going to see the Irish rovers! I hardly ever go out at night and never concerts as I don’t like crowds, but this is small and should be fun. January low/no spend with Carla ! Get my 52 week saving sheet out and start that. Week one is $1, week 2, $2 and so forth. Turn in my $5 savings and put aside in savings. I should have $500 by December 31.
start a new $5 savings envelope. Keep putting the small pay increase in B’s check over to savings. It’s about $80 a paycheck. I’ve done 2 months already. keep food budget under $500. This is always a challenge, but has gotten way better since I bought my freezer. we will need to buy propane and that’s $300. Minimum amount. This has to be done so the budget will take a bit of a hit. Aside from these savings that Ive already been doing, I’ll just try and keep everything low spend. I’ve been keeping track of money spent in December ,so I’ll keep that up and try and have 10 no spend days. I don’t want to put down lofty goals, or unrealistic, so I’m going to keep it fairly simple. 1. Keep walking. I’m on week 29 ,day 194, I think. I’ve walked everyday including rain and this recent ice/ snow. I’m going to be realistic , a walk is a walk, and if it’s only 1/2 a mile then it’s still walking. My backs a little sore from walking on the uneven snow/ ice, so today I’ll take it easy. 2. Save money. We’ve done great with the 401k, only because it’s automatic. But it’s still saving and in a few months the last of the old 401 loan will be paid and then we can add it. I’m thinking to go to 10 % of gross . If we don’t have it in hand it doesn’t get spent. Well never catch up for retirement. But we are trying to do something at least. 3. Save more money, in our regular savings for sinking funds. This is what gets us, taxes, house ins, etc, repairs. So I’m hoping we can get $5000 in there this year. Of course as some goes in, some will come out for the expenses but still it’s there. 4. This summer I will apply for social security. It’s not much under $300 but since I do live with an incurable disease, I want this as soon as possible. Also, if I can continue to work my little job, that would be a bonus. 5. Keep working. If I have to change treatments to a weekly shot, I’m not sure how this will play out with work. If my numbers go up then for sure I’ll be starting this, probably spring. We’re giving it 2 more cycles to see what’s going on. This is my third time on revlimid and sometimes it just stops working and you need to switch it up. I do tolerate these drugs fairly well, but working? I’m not sure. 6. Continue to declutter till it’s as minimalist as I can get it. I still have some to do in our barn. The house is pretty much done, although I’d still like to change some furniture and streamline things more. 7. Go to Santa Barbara with B. 8. Streamline our budget as much as possible. 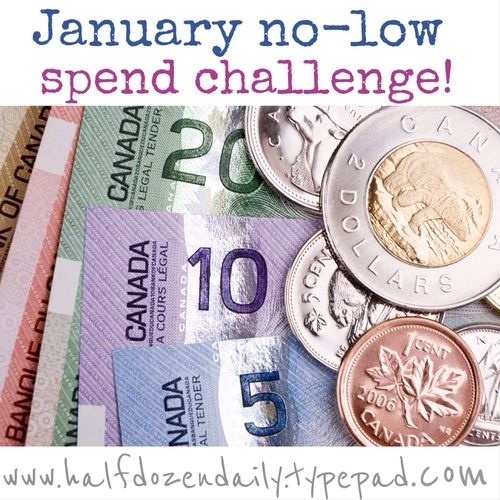 I think that’s all I can think of now., oh, keep up with $5 savings challenge, the 52 week savings challenge. And I’ve added the coin one too. So, it’s a pay week and I’m working on the budget. Our last big yearly expense is house insurance. The bill showed up yesterday. So I’ll go to AAA today. Then what I want to do is schedule out all our sinking funds for next year. We really haven’t saved anything in the last few months. It’s all been house expenses, etc. now with Xmas here, we need to stop and start seriously savings. I’m thinking a separate account, or something like my 52 week savings or the $5 savings, both of which I’ve done pretty good. The 52 week savings was up to $900, then with my sister here, I used that cash instead of checking or savings. So I’m ok with that. It’s down some so I’ll work on that next and see if I can’t reach the final goal by January which is @ $1300. I’m off today to do a little shopping at the regular store, and then a few errands. I feel pretty good this morning compared to the last 2 days.